If your kids are learning letters, then this is the post for you! 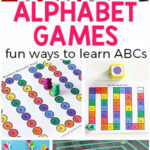 Teach the alphabet with hands-on activities that are engaging and enjoyable for young kids! I am always creating new alphabet activities to do with my kids. 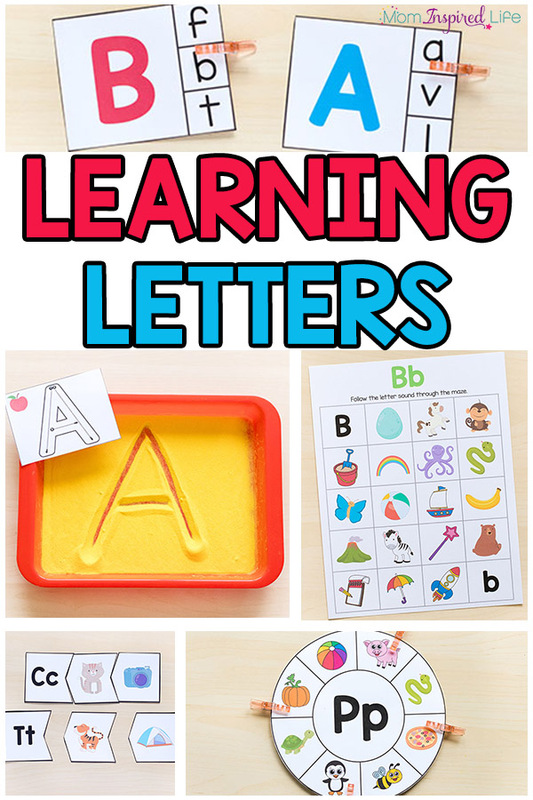 From games, to activities to hands-on printables, there are so many ways to make learning letters a fun experience for your kids! 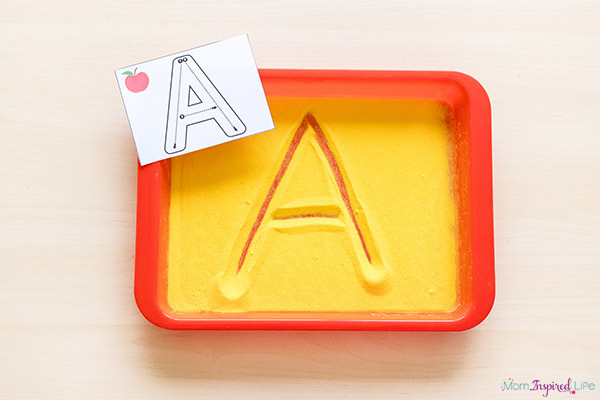 These activities are all fun, engaging and hands-on ways for kids to learn letters. And many of them require very few supplies. So let’s get started! 1. 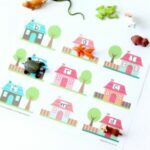 Use a sand tray and these letter formation cards to help kids with letter identification, letter formation and even letter sounds. Just use a small shallow tray and some colored sand to make a writing tray. Then pair it with the letter formation cards. 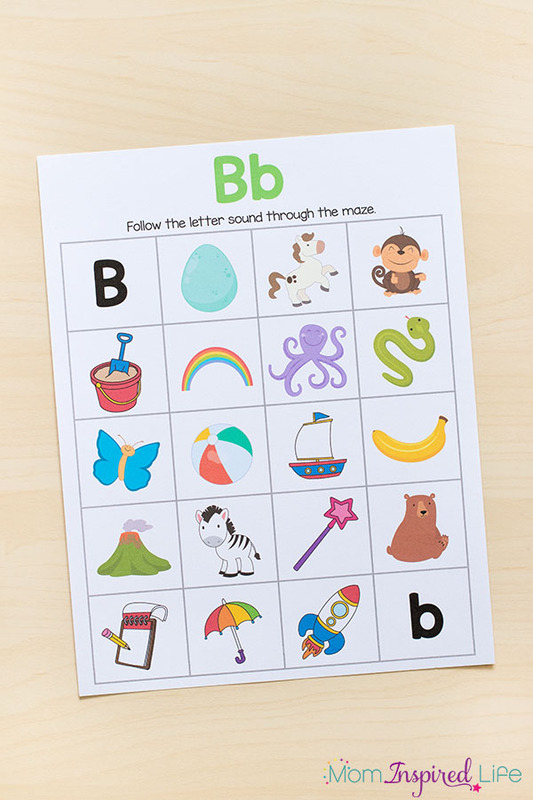 The cards even include a small picture that represents the sound that each letter makes! 2. 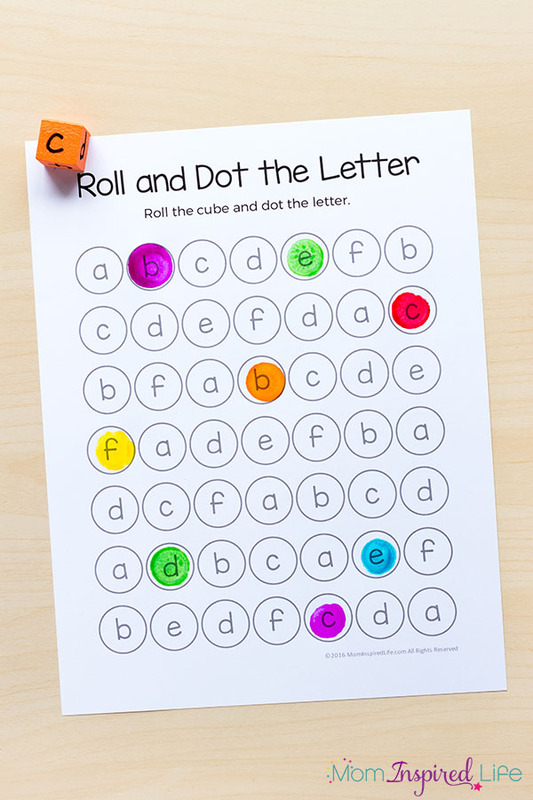 Play this Roll and Dot the Letter Game. In the two-player game version, children will roll an alphabet dice, and dot the letter on the page. The first person to dot 5 letters in a row wins! Or keep the game going and see who can get the most 5 in a rows per sheet. 3. 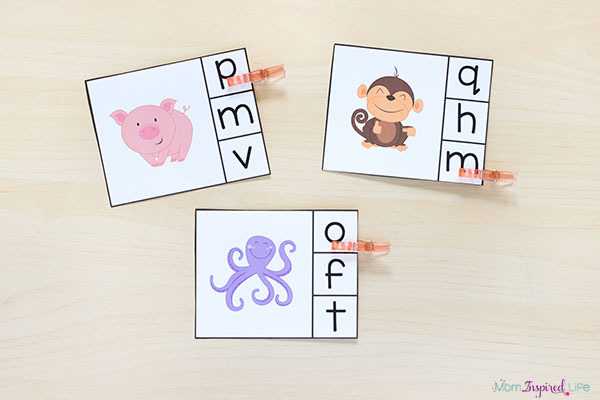 Use these alphabet clip cards to help kids learn letter sounds while also developing fine motor skills! 4. 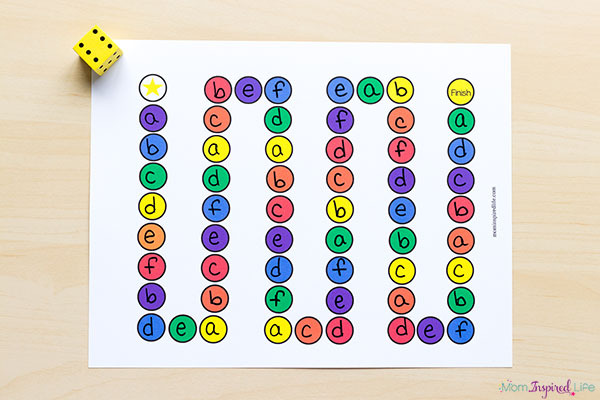 These Beginning Sounds I Spy Mats make learning letters sounds fun and hands-on! 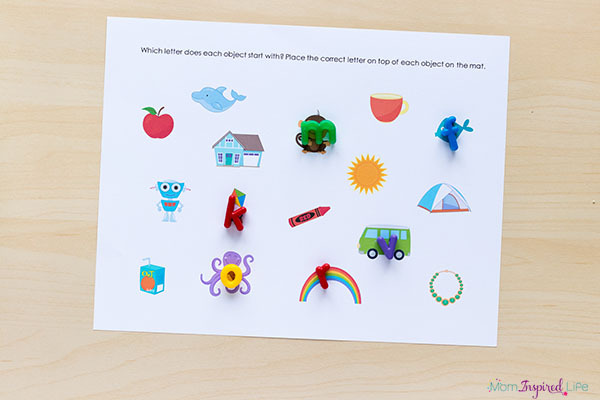 Grab some alphabet beads and see if your kids can find all the letter sounds on the mat! 5. 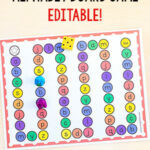 Print out this board game and play a fun game that teaches letter identification and letter sounds. This is one of my most popular ideas and one of my kids’ favorites! 6. 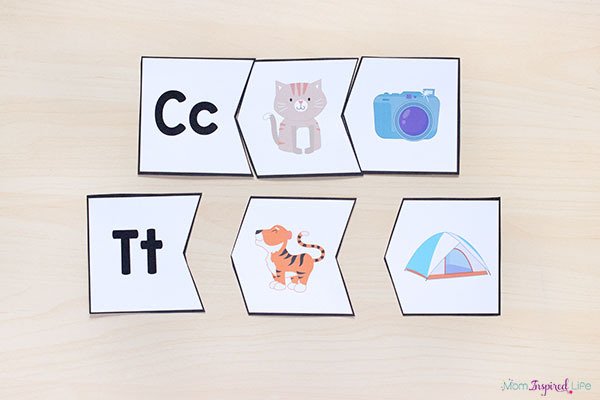 These printable alphabet puzzles will make learning letters a hands-on experience. 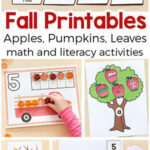 They develop critical thinking skills and fine motor skills while teaching letters and sounds! 7. 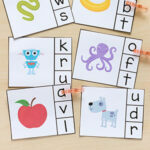 Combine play dough and learning letters with these engaging alphabet mats. 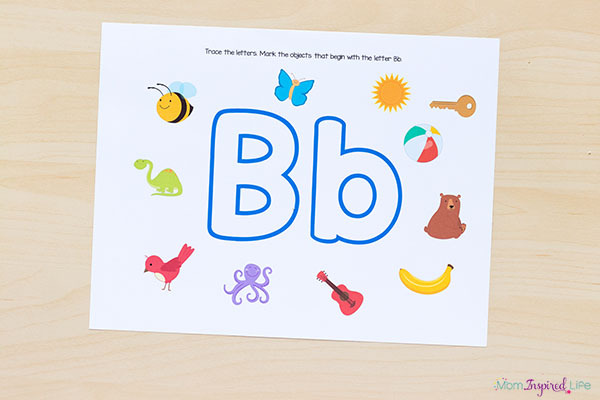 Not only will kids practice letter formation while using them, but they will also practice identifying beginning sounds in words. Slip them into write and wipe pockets and you can use dry-erase markers on them too. 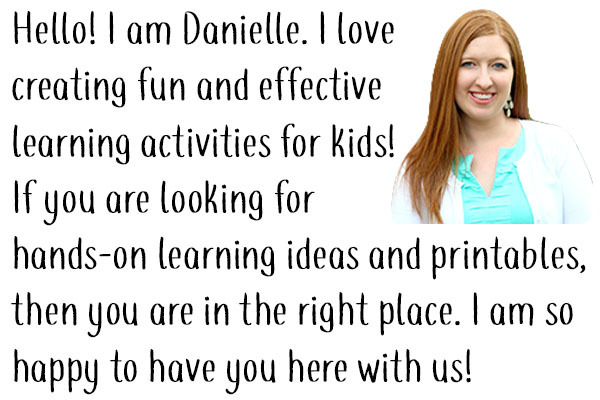 These activities can be found in my brand new Alphabet Printable Pack! 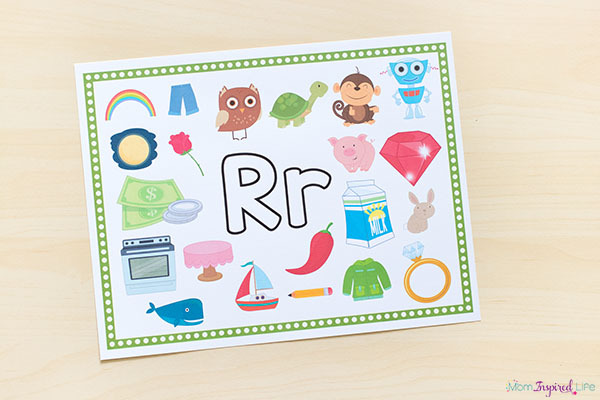 With 370+ pages and 17 alphabet activities, this alphabet pack is going to be so helpful to you! 8. 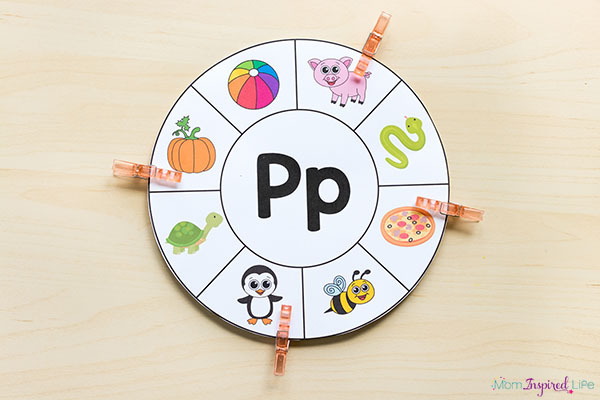 These Beginning Sounds Clip Wheels develop fine motor skills while teaching the children to identify beginning letter sounds. Each wheel includes 4 objects that correspond to the letter in the middle. Children will mark the correct pictures with clothespins. 9. 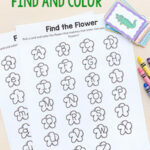 Beginning Sounds Mazes are a fun way to learn letter sounds! These bright and colorful mazes are visually engaging and great for developing visual tracking skills which are also necessary for reading. 10. My kids really enjoy these Spot the Letter Mats. Children will search the mat for objects that start with the letter in the middle of the mat. Slip in dry-erase sleeves and mark objects with dry-erase marker. Or laminate and mark with pom poms, craft gems or other small objects. 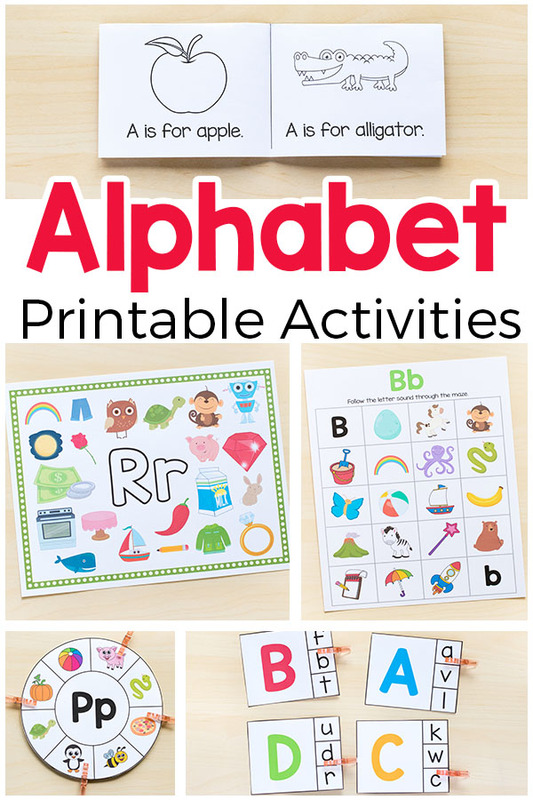 To read more about the Alphabet Printable Pack and all of the activities that are included, click the link below!